Had to share this little piece of weirdness with you. On my recent London tours, I have taken friends to see the three surviving Police Boxes and Posts around town: the Box at Earls Court (see left); the Post at Picadilly Circus (see below); and the Post at St Martins Le Grande. My route to work takes me past the Houses of Parliament, as a prefer to come street level at Westminster rather than Victoria as it makes for a easier journey and a more pleasant walk. Opposite Big Ben, on Parliament Square, is a long standing protest village of anti gulf war protesters. 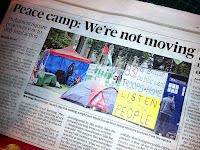 Their camp has intermittently been cleared and rebuilt in an ongoing legal tussle. 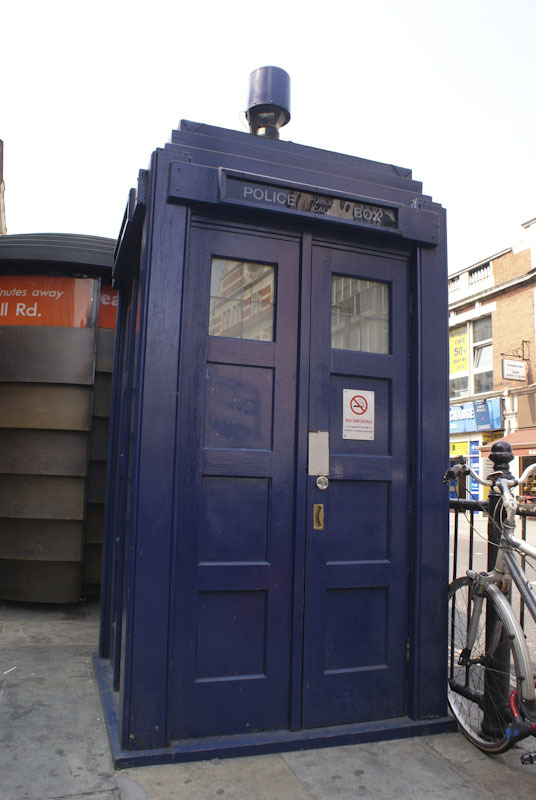 While we’re on the subject of Police Boxes and Posts, you might like to take a glance at my guide to all the surviving Posts in London. There’s more than you might think! 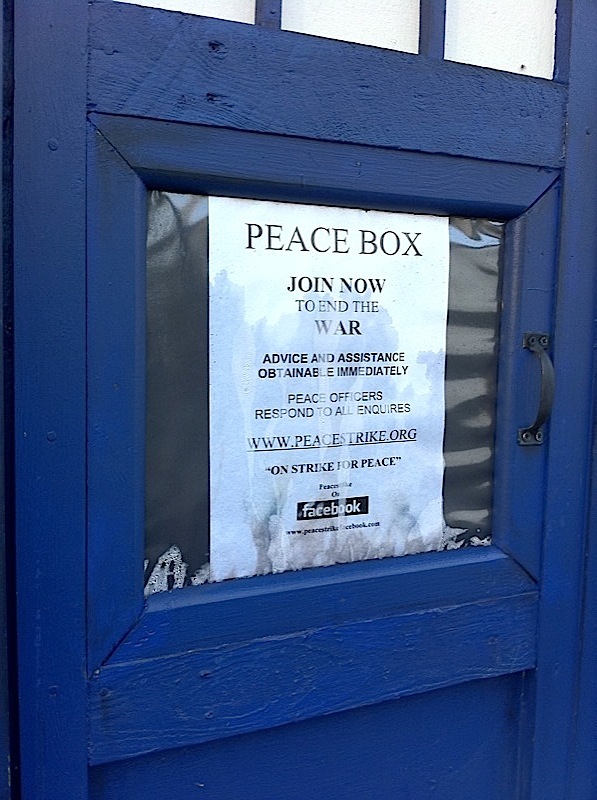 The latest ‘incarnation’ of the camp includes a rather amusing piece of wit, with one side of a shelter made onto a PUBLIC STRIKE PEACE BOX!